Actress Hansika’s 50th film titled as “Maha” produced by Mr. Mathiazhagan of Etcetera Entertainment direction by U.R.Jameel. 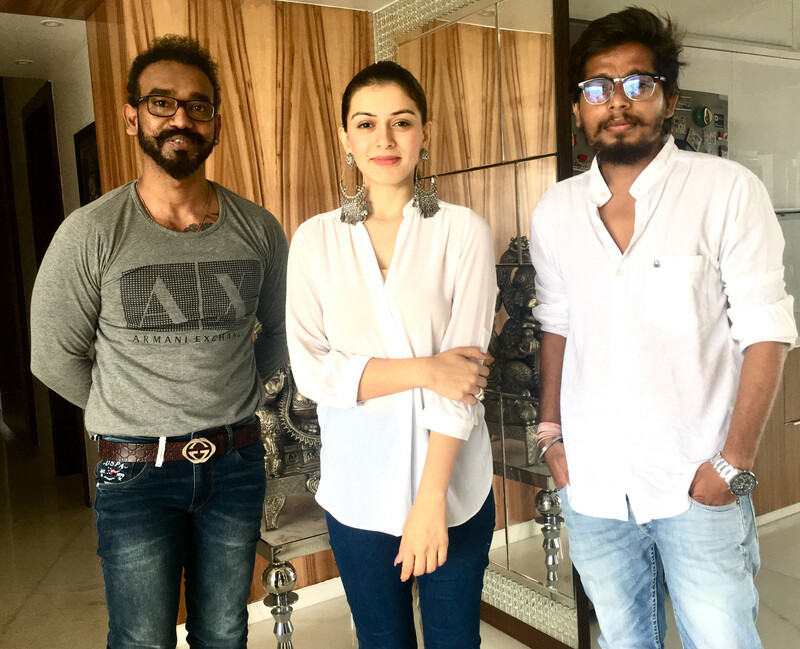 The wait is over literally for the fans of Princess Hansika Motwani’s fans who had been relentlessly waiting for the title of her much expected film , directed by debutant U.R.Jameel and produced by Mathi Azhagan of etcetera entertainment. The crime thriller with the music composed by Ghibran is titled “Maha” a powerful title by any terms. “Hansika has got the potentiality to sustain at the top for a long time. Her looks added to her philanthropic qualities has given her an un diminishing image in the hearts of the audience . Director U.R.Jameel has penned a script that can challenge the best of Holly wood scripts. His first and foremost choice for the role of the heroine was only Hansika. His association with her in her earlier films where he had served as an associate director had helped him to pen the script based on her image. My company etcetera entertainment strongly believes in the films that are ridden by content, and ‘Maha” will be our brand ambassador in terms of quality in the Tamil film industry. We are leaving no stone unturned to make this film.a memorable one for the audience.The audience can be assured of an absolute entertainment and iam sure Hansika in her new found role of a “Princess” will rule the box office in the coming years ” says the beaming Mathiazhagan with pride . Actress Hansika gets injured in Maha’s Daring stunt sequence!